1) StogieGuys.com Exclusive: Through its Twitter account, Cigar Rights of America announced the first four cigars in the next sampler available only to CRA members: Alec Bradley Tempus, Cuba Aliados Miami Edition, Avo Classic, and La Aurora 100 Años. 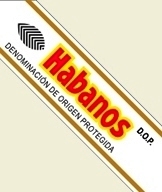 StogieGuys.com has since exclusively verified four other cigars that will be included: Camacho Limited Edition, Perdomo Patriarch, La Gloria Cubana Reserva Figurado, and Diamond Crown Maximus. And now we hear rumblings (from those that would know) that the final two cigars will be the Vegas Cubanas by Don Pepin Garcia and a rare Fuente Fuente Forbidden X. Contrary to a photo posted on twitter last week, we’re told the second sampler will not contain the Drew Estate Liga Privada No. 9, which was featured in the original sampler. 3) Inside the Industry: Toraño continues its “Roots Run Deep Tour” in 2010 with events all around the country that will feature an exclusive Churchill-sized “2010 Tour” cigar. Camacho has been selected as the official cigar of the Academy Awards Style Lounge, a Beverly Hills event that precedes the Oscars. 4) Around the Blogs: The Stogie Guys, via The Daily Caller, feature the Cuban Crafters Cubano Claro Churchill. Stogie Review fires up a La Herencia Cubana. Cigar Inspector reviews the Vegas Robaina Maestro RE. Nice Tight Ash tries the Oliva Connecticut. Keepers of the Flame smokes the Rocky Patel Renaissance. 5) Deal of the Week: This sale on various five-packs is a great way to try some terrific smokes at an affordable price. Bargain hunters will particularly want to check out the offerings from Fernandez, La Aurora, Rocky Patel, Oliva, and Padilla. Grab yours here. maybe they should have spent less on attorneys filing cancellation and opposition proceedings in the US.